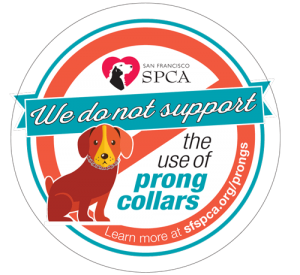 Because we care about dogs, our organization pledges to not use or support the use of prong collars. We understand that prong collars can inflict injury, harm an owner’s relationship with their pet, and lead to behavior problems. We will help spread the word to our community about the advantages of choosing positive reinforcement-based training equipment and methods. 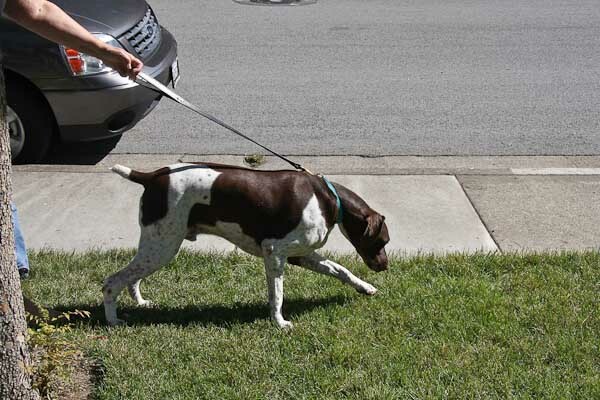 Training classes are an excellent way to bond with your GSP, right after adoption and throughout the years! It’s also a great way to help with the adjustment process and catch any concerns before they become problems. The following are trainers that we recommend. These trainers use only positive reinforcement methods and techniques. If you need help in finding a trainer near you, contact us (be sure to include your zip code), and we will assist you. 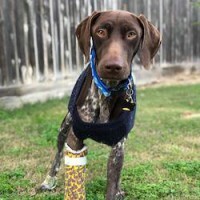 Don’t wait until you’re ready to give up on your dog! Get help early. This is especially important if your dog has significant behavioral challenges, such as aggression, separation anxiety, or fearfulness. We strongly recommend working with a trainer who has experience in the type of issue your dog is having. The right professional will evaluate your dog to identify exactly what’s going on, and provide a customized step-by-step plan. 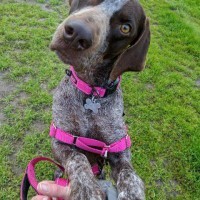 He or she will determine what tools will be helpful – those tools might include harnesses, muzzles (to keep everyone safe), medications, toys, hi-tech gadgets, etc. Not sure where to start? Contact us and we will help you find a professional near you. Here are some resources to help you with your active dog! If you have additional resources you’d like to recommend, please let us know and we’ll check them out. 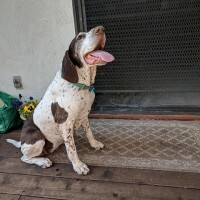 The German Shorthaired Pointer Club of Northern Sacramento Valley offers a variety of activities for GSPs and their owners. The club is based in Sacramento and has members across northern California and western Nevada. Its purpose is to help promote fellowship, cooperation, and friendship amongst those involved with this sporting breed. It provides opportunities for owners to enhance their skills, has training facilities at Mather Regional Park available for members, and conducts AKC sanctioned Field Trials, Hunt Tests, and Dog Shows throughout the year. 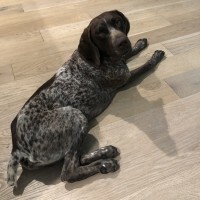 It encourages high standards in breeding, training, and performance of the German Shorthaired Pointer in all endeavors, to include field, hunting, show, obedience, tracking, agility, and rally, and is constantly striving to keep the breed forever a truly versatile dog. 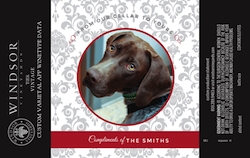 Rescue GSPs may participate in all activities (except conformation), and the club graciously offers our new adopters a free one-year trial membership. 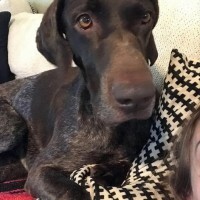 Smilin Dogs: Smilin Dogs offers off-leash hiking daycare on a private 750 acre coastal-range property geared towards the medium and large-sized energetic dog, as well as facility-based daycare and boarding. Transportation is available to/from your home or work. Smilin Dogs serves the mid-Peninsula area of the SF Bay Area. 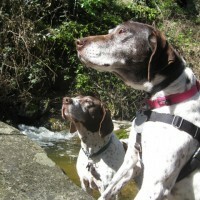 We cannot stress enough how important exercise is for your GSP. 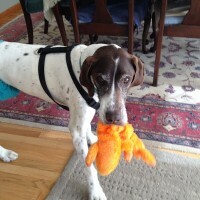 Both physical and mental stimulation are needed so that your GSP does not invent clever ways to stay busy. Remember, this is every day, rain or shine, 365 days a year. We believe that a tired dog is a good dog.